BEIJING, China — China is in discussions with India to help it build the world's second-longest high-speed railroad with a price tag of 200 billion yuan ($42.4 billion), its latest efforts to push for a bigger share of the overseas high-speed market, AsiaOne reported. 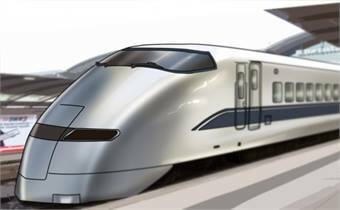 The Delhi-Chennai high-speed rail corridor will see trains running at 300 km/h (186 mph), covering up to 1,754km (1,089 miles). The railway is proposed to be developed jointly with China several Indian media organisations reported over the weekend, citing senior officials with India's Ministry of Railways. The project is part of Indian Prime Minister Narendra Modi's "diamond quadrilateral" project that aims to build a network of high-speed trains between cities including Delhi-Mumbai, Mumbai-Chennai, Chennai-Kolkata, Kolkata-Delhi and Mumbai-Kolkata, according to Indian media, according to AsiaOne.